Situated in Central Kyoto, Centurion Cabin and Spa Kyoto is the perfect place to experience Kyoto and its surroundings. It is only a 2-minute walk from sijou Subway Station. From here, guests can enjoy easy access to all that the lively city has to offer. With its convenient location, the hostel offers easy access to the city's must-see destinations. Make yourself at home in one of the modern rooms featuring air conditioning. Each room comes with free wired internet access and free Wi-Fi is available at the public areas. 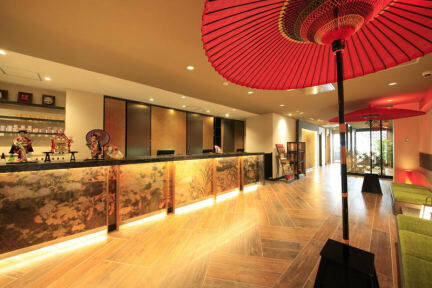 Whatever your reason for visiting Kyoto Centurion Cabin & Spa Kyoto is the perfect venue for either a business trip or to visit the wonderful attractions. 1. Check -in Time: from 15:00 to 00:00. 3. 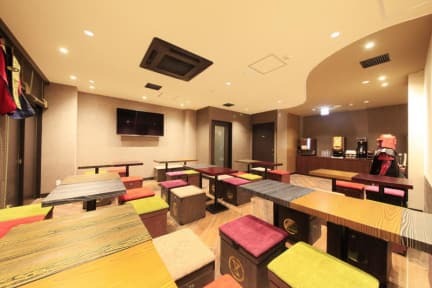 Payment: Cash (JPY) or credit card (Visa, Mastercard, Amex, JCB) is welcomed upon arrival. (2) If cancelled or modified within 2 days, or No Show, the full balance will be charged and no refund will be given. 6. No smoking in the entire building.